NMM 4570. 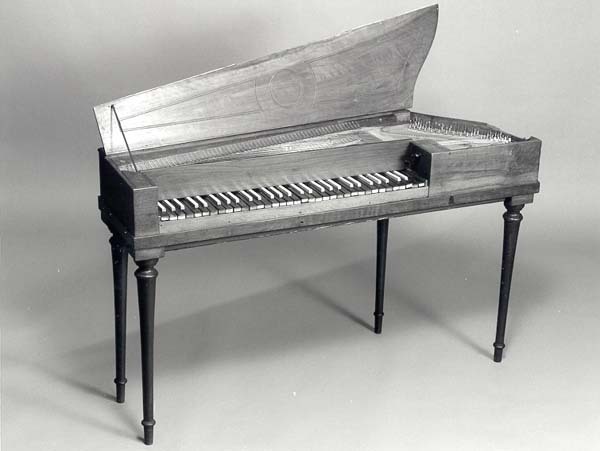 Harp-shaped piano by Gottfried Maucher, Konstanz, Germany, 1797. FF-f3 (5 octaves). Two hand stops: moderator, harp (mechanism incomplete). Board of Trustees, 1989.